The time has come! You’ve been lovingly stirring and looking after your boozy fruit and after six weeks soaking it’s ready to be turned into your Christmas Cake! Before we get onto making the cake read through the top tips covering frequently asked questions! If you haven’t prepared your boozy fruit do it now (and then come back and tell me why you didn’t do it when I posted the recipe – bad Pink Whiskers!) Soak it for at least a week, more if you can. Once you’ve soaked it there may still be excess liquid with the fruit, heat the mixture gently in a pan until the majority of the liquid has gone, then continue with the recipe. If you’re outside the UK can’t get hold of treacle, molasses is a good substitute. Make sure your tin is deep sided (3″ deep), a shallow tin won’t do the trick here! Be sure of your oven temperature, a long slow bake is what is called for to stop the cake from drying out too much and baking evenly. Position your cake on a shelf about 1/3rd of the way up from the base of the oven. Keep an eye on the baking – start checking your cake for doneness from 2 and a half hours in. Insert a skewer in the centre and it should come out clean when it’s completely cooked through. If your oven temp is any different to 110c then it may be done sooner, but it may also take longer if your oven runs cool. You need to employ your cake testing skills! When it comes to feeding the baked cake, you can miss this out completely if you would rather, wrap the cake well as described and set aside to mature. The flavours of the cake still intensify and the fruit in the cake will soften and be delicious. If you would rather you can feed with apple juice or tea for a non-alcoholic cake. If you don’t have a tin big enough to store your cake it will be fine wrapped well with baking paper and foil alone. 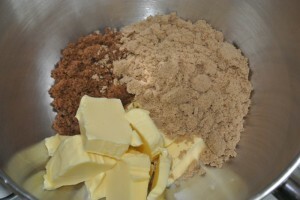 You can also split your cake mixture into a batch of cakes of different sizes. The full quantity is designed for 1 x 8″ cake which totals 1500ml. If you want cakes of different sizes I’ve tested out bake times and quantity of the mixture for the following sizes. Use the guide to split your batch between the cakes you want to bake. Righty-ho on with the cake! Preheat the oven to 110c (fan)/130c/Gas Mark 1. Cream together the butter and sugars until they’re light and fluffy. Add the treacle and beat it in well. Now for the eggs, add them one at a time working them into the creamed mixture before adding the next. In goes the flour and mixed spice and a last mix up. Now there’s the base for the cake. 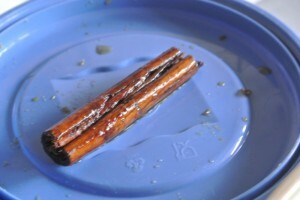 Take your boozy fruit and fish out the cinnamon stick. Add the fruit (no don’t eat it!) to the cake plus the whole almonds if you’re choosing to add them. And now a last stir up! Cake mixture done! Time for the tins – line the base and the sides of a 8″ round, deep tin (at least 3″ deep”). At this lower temp you don’t need to wrap around the outside of the tin with newspaper to protect the sides. Fill with your cake mixture and bake it in the oven for 3hrs 45 minutes. Remove from the oven and allow to cool completely in the tin. Once the cake is cold remove it from the tin removing the baking paper from the sides of the cake but keeping the base disc in place, this will help keep in moisture as the cake is fed in the run up to Christmas. On your worksurface lay out two large pieces of foil, one horizontally and one vertically. On top of that place two large sheets of baking paper. Finally position the cake in the middle. Using a skewer pierce 30-40 holes in the top of the cake, only ¾’s of the depth of the cake though so that the brandy doesn’t run straight through! It’s handy to put the feeding brandy into a jam jar, that way it’s ready whenever it’s time to feed the cake. 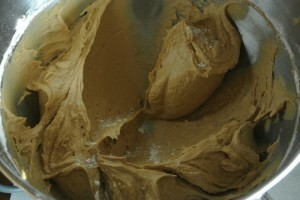 Using a pastry brush, brush over the entire top of the cake with the brandy. You are looking to add 1 or 2 teaspoons of brandy in each feed. Once fed, gather up the baking paper and seal in the cake, repeating with the foil layer. No place the whole lot in a suitable container, I use an old Christmas sweetie tin which is just the perfect size! Place the container into a cupboard or the pantry, it needs to be out of direct sunlight somewhere dry but don’t forget about it. Feed it every 3-4 days for the next few weeks or until the cake won’t absorb anymore. If you come to feed it and it appears wet then leave it to soak in for a couple of days before adding anymore. Christmas cake – done! Well for now, we’ll be decorating at the end of November! This entry was posted in Cake, Christmas. Bookmark the permalink. 155 Responses to Christmas Cake Baking Time! Keep reminding me – I really must start my christmas preparation. hi ruth i wonder if you can help me ? i am wanting to make your cake in a 2lb loaf tin, any idea how long it would take to cook not sure if it makes a difference to cooking time, although it would be deeper than a round tin. 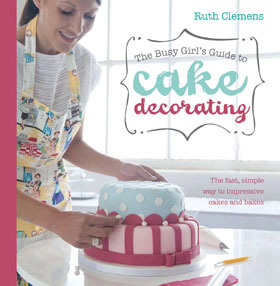 I’ve used your recipe the past two Christmas’ Ruth and each time my cakes have improved. People have actually asked me to make them a cake this year, but I have politely declined due to time (or the lack of it!). 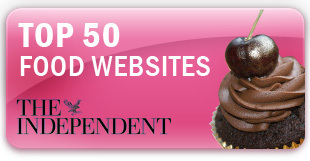 I have given them your site details to visit for themselves. Thanks for the tip about a slower bake this year. I wil try it and let you know how I get on. Thanks for all your advice and recipes. I have two if your gingerbread cakes stashed away ready for half term next week, to feed the troops. Probably a silly questions but do the 4inch tins need to be 3 inches high also? 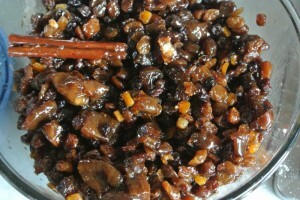 I’m making my first christmas cakes this year and have the ‘boozy’ fruit ready, i’m getting more excited by the minute. hi ruth, thank you that’s a great help. can’t wait to get it in oven now lol,for the lovely christmassy aroma. love all your work,book, blog and can’t wait for the next book ! Ive made the christmas cake but, yours looks a lot darker then mine. Every time I’ve made a fruit / christmas cake in the past the fruit migrates to the bottom half. Hopefully I’ll get it right with this time. Thanks. 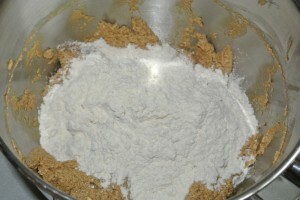 dust some of the flour mix through the fruit mix b4 adding it all together (enough to coat it all). This makes the fruit cling to the mixture not sink to the bottom – a hint from my Great Grandmother many many years ago. 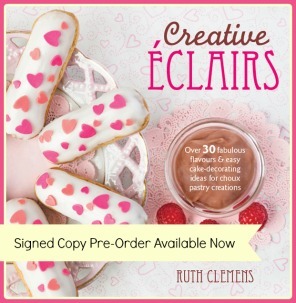 Hi Ruth, looking forward to baking my cake. The Christmas cake recipe posted on your page a couple of years ago said to use light & dark brown sugar whereas this recipe uses muscovado sugars…is there a difference in flavours? And why the change? Thanks Ruth, I duly made my boozy fruit a few weeks ago, I decided to scale it up as i want to make a number of cakes, but cant now recall how many I decided I was going to make, are you able to advise roughly how much one portion of boozy fruit should weigh for your receipe so that I can work out how much pf my fruit to use? Thanks, sorry for being such a ditz! I have a 9 inh tin not 8 inch. Also how long could I soak the fruits for because I am using the water and sugar mix instead of alcohol (brandy).Your help would be much apreciated. Hi Ruth, I’m afraid i was a naughty pink whisker who didnt do my fruit! Anyway, i’ve done it now and just baked my cake this afternoon. It smells fantastic (honestly could put the xmas decs up now!) It has cracked along the top though and i wondered what i had done to cause that? i think my boyfriend would have me committed if i did that! but very reassuring that the cracks will close up. I want to decorate with silver and green glitter straight onto the cake so didnt really want the cracks there. Thanks Ruth. Thanks so much for this 🙂 I love making Christmas cakes, but I always struggle with the timings because I have smaller tins- your little table is really really useful! Thanks again. Thanks for the amazing recipes! Was contemplating using gluten free flour in this recipe for a family member but not sure what else I’d need to change. Any ideas? Made one large one, two 3 inches and lots of muffin sized ones and they smell great. They took at lot longer to cook than your timings though- think my oven team’s not very accurate! Head’s full of decorating ideas. I want to put my 950g of fruit (that has been soaking as per your instructions for 6 weeks) into a 10 inch square cake tin, what do I need to add to your 8inch recipe? I baked last years cake with the old recipe with fruit I had steeping in port and whiskey for a year. I kept half the fruit, so this years has been steeping two years, topped with whiskey from time to time…five eggs made my sugar/butter very runny, I needed a few teaspoons of flour towards the end as a curdle was threatening(45 minutes using a soup blender thing with the whisk attachment, I think he motor is lost burned out! )..but with the spices and flour it held the fruit nicely during he bake. I was a little confused with timings for a 10″ cake tin, eventually gave it about 4:45 and the skewer is dry now. Not much time for feeding before marzipan but hopefully the fruit will make up for that flavour wise. Must prepare next years fruit this week! my fruit has been sitting in port and brandy for about 4weeks and i’m going to bake my cake next weekend, iwould like to add some ground almonds, what is the best way to do this? how much flour should i substitue with them? I am puzzled myself Ruth but I am very happy to have an extra cake that I wasnt expecting! thank you for all your lovely recipies yours always turn out well for me. i was hoping you could clear some doubts. i dont think treacle is available where i live, is there anything i can substitute it for? and secondly i have heard of recipes wherein the fruits can be soaked upto a year! does it really matter beyond 6 weeks and if yes, can i use the above recipe for the same? Hi, I love the Christmas cake so much I’ve made extra boozy fruit to make the same recipe for a 12 inch round christening cake. I’m sure I read on one of your posts that this would need 2.5 times the quantities of ingredients, is this right? Also how long should I bake it for? 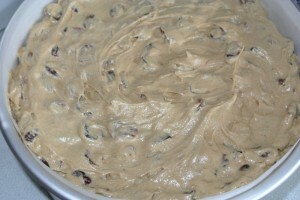 I actually found this particular posting , “Christmas Cake Baking Time! | Baking, Recipes and Tutorials – The Pink Whisk”, extremely compelling and also the post ended up being a wonderful read. Tried your recipe this time after years of being a devoted Delia follower. 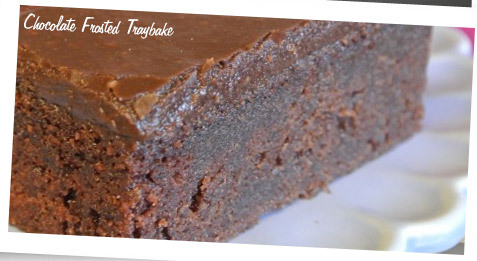 The cake is awesome – so moist & delicious & may make a re-appearance well before next December!! remove it entirely, email me at berniebinkley@gmail.com. 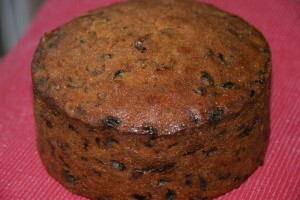 Hi, I’m looking for a fruit cake recipes for a wedding cake for a friend in June. and I love yours. But the bride doesn’t drink alcohol, so do you have any other way to soak the dried fruits mixture without the booze part.? First time visitor to your site and am loving it. Found it through your sugar veil tutorial and ended up browsing for over an hour. Now can’t wait to make this Christmas cake which over here in the southern US we call a fruit cake. The recipe seems very similar to a cake my parents received oh so many years back..many thanks for sharing. 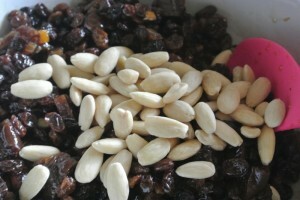 I am looking for a no bake fruit cake. I’ll be starting off my boozy fruit this evening. I can’t believe it’s that time already! Oh nooooo. I added the nuts to the fruit mix by mistake and it’s soaking already. Will that make a difference? Hi, never made my own Christmas cake before but this looks delicious. I want to make a 6″ cake, should I put the full amount of boozy fruit in & whats the best way to adjust the ingredients for the cake. Would 3 eggs be ok or should I use 4? Just brought mine out of the oven and the whole house smells amazing. 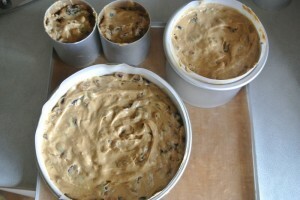 Thus is my first ever fruit cake so I don’t know if I’ll have the patience to wait to try it…just a little bit maybe! Hi, I made this cake last year and it was delicious, I am making a normal one again this year but just wondered if there was any way to make it egg free? My aunt is allergic and I would love to be able to make her a cake! Hi! So I’ve just made cake 1 yesterday using your old cake recipe (2 hours at 150) but today I’m using this recipe as couldn’t remember where I’d posted my comment!! Just trying to time it right to get it in the oven so I can check it at the right time as need to pop out! I am really looking forward to baking my first Christmas cake and although I had the best intentions to start the fruit soak at the beginning of October, it is now November and still not done it! How long should I soak the fruit for before I bake to leave me enough time to feed cake up till Christmas? Hi Ruth, my fruit has been soaking for 4 weeks now. When should I bake my cake? I noticed that the post of previous year was near the end of October. Hi Ruth, I am hoping to make 12 mini cakes in my mini Victoria sponge tin and use the rest in a small 1lb or 2lb loaf tin, depending how much is left – how long would the mini ones take do you think? Hello Ruth , first time baking this cake and making 2, one normal in an 8 inch and the othe in a mini cake tray about 2.5inch but the sides are only about 1.5 high is it okay to still back in this and how will the lack of high affect the bake? Hi! Thank you so much for your wonderful recipes. My question is about this cake that I am going to make for this Christmas. How long is the optimal stay/store/period of feeding for the cake (from the time of baking to eating)? I know about the soaking, which is minimum one week, but I do not know about the cake itself. Thank you again. I would say 3 weeks plus is best once the cake has been made. Thank you so much for your answer! Then it will be 3 weeks for the boozy soak (that I started on Monday)and 3 weeks for the cake. Perfect!!! Hi Ruth, I only have my fruit soaking for the last week so I was thinking of holding off on baking my cakes until the weekend of the 6th dec! I was just looking at your pic of the split cakes and noticed you havent lined the tiny tins(6cm), what do you do to stop them sticking??? I found it hard to get mine out if these little rings last year! was going to line them with Paper and pipe the mixture into them this year! Hi Ruth, made your cake last year to the letter T, delicious. I was wondering can I use light sugar for all instead if dark sugar, have two poorly babies that I don’t wish to drag to the shops and no dark sugar in sight at home. Hi, have made my cake today however, when it was cold and I took it out if the tin it felt like a bit squidgy, like it wasn’t cooked properly. I tested it with a skewer and came out clean after 3 hours and 45. I’m not sure what to do now…help!! If using tea to soak fruit will the cake still keep until christmas as was under the impression that alcohol acts as a preservative, is this correct? Alcohol does act as a preservative but once you’ve baked the tea soaked fruit into a cake, it will keep for a long time for you. Thank you so much for this. It has been rather tempting to sample the boozy fruit mixture every time it needed stirring. Can I ask what is ‘mixed cake spice’ is please? Is it normal mixed spice? Saw your recipe last year but it was too late to start making, however I followed the recipe for this year and I must say it smells delicious. Think this will now be a yearly occurance. Can you overbake the Xmas cake, ? My skewer kept coming out with a little bit of moisture on it but think it would have been smears from the fruit! I am feeding it every 4 day and crossing fingers it’s not over baked. 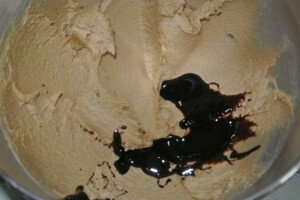 Am making a 7″ square cake, in the oven as we speak been in for 4 hrs at 110 but skewer still dirty!! Worried to leave in too long but don’t want to undertake it!!! Silly question but do you use the whisk or beater for creaming butter and sugar on the kitchen aid – I’ve just hot a new one !! i’ve made your more-fruit boozy fruit soak, and was wondering as this cake mix will be more than your standard cake mix should I use a bigger tin, or bake it for longer? Hi there, just baked cake today. I tasted it before it went into oven and it was yummmm! Took it out of oven 10 min ago. I have 2 questions please: firstly, why did the cake crack on the top? I followed directions exactly. Secondly: there was no Christmas cake smell coming from the oven…..why do you think that was……? I hope it turns out ok and that the crack on top doesn’t mean it will crumble when I cut it. Thanks in advance. Hi, have made 4 small cakes. Fed them today and I’m worried that they are a bit dry and hard? Any ideas? I don’t want to feed them too much with alcohol, should I use orange juice? Thanks for your reply. Will let you know how cake turns out…I am sooooo looking forward to cutting it. Just baked the boozy Christmas cake today, using your wonderful recipe. I was a bit late all round, but soaked the fruit for two weeks and put it in the oven this afternoon. I didn’t put the almonds in as I have family who are not good with nuts. This may have made the mixture a bit sloppier, but I held my nerve and cooked it for 4 hours 45 minutes and I have to say it looks pretty perfect! I usually do the same recipe every year, so thank you, Ruth, for encouraging me to try something different. Hi Ruth,i have made your xmas cake,so has my husband made one with the cranberries so it is a competition to see which one turns out the best,watch this space haha. Hi Ruth,i have just made your xmas cake and it looks good,my husband is making one right this minuate with cranberries it seems we are in competition,we’ll see. Hi, my cake is just finished after 3 hr 45 mins in oven but althought a skewer is coming out clean the colour is still very pale and nothing like the picture you have posted above! Why is this and do I need to keep it longer?? Been a bad elf and just getting round to baking my cake – fruit has been soaking for over 2 months though! Plan is to bake it in a 10×10 tin and then chop and decorate 4 smaller cakes? Possible? And if so, shall I divide the cake once baked or on decorating? Doubled boozy fruit mixture so I had the option. Any thoughts? Hi Ruth, just starting my first Christmas cake after 67 years and was wondering if you advocate longer fruit soaking and less time cake maturing or less time soaking of the fruit and longer time maturing the cake. Fruit has been on for only a couple of days now, a bit late I know but I have put a reminder in my diary for next year. Thank you very much for the recipe. I was a naughty pink whisker and only soaked my fruit for 2 weeks (was the most amazing smell), baked it yesterday and it cooked to a lovely golden colour, no cracks but took 4 hours 20 minutes in an 8in tin before a skewer came out clean from the centre. Any reason why this could be? It looks lovely (extra fruit mix), and just doing the feed now, but I don’t like strong boozy fruit cake. I will be doing 50ml of brandy but what can I use for the extra 100ml that will work with the brandy? Thank you. Just baked my first christmas cake using this recipe! If the cake tastes half as good as the mixture does it will be amazing 🙂 I just realised i don’t have an airtight container to store it in though, I have a cake box that I was going to use, do you think that would be ok? Thanks for your reply about my fruit soak, but I have one more question!! I’m going to make my cakes this weekend as per your other reply, but I have no idea now how long I should leave it before decorating them?! Help is, as always, very much appreciated!! 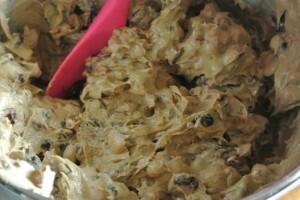 I made your fruit cake for last years Christmas and it was such a hit! I have decided to use your recipe for the bottom tier of my wedding cake (I’m making it myself). 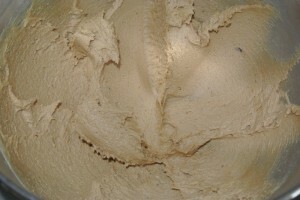 I will be making a 10″ round cake and was just wondering how much to to increase the ingredients from the 8″ recipe. Also, what do you recommend for baking time for a 10 inch cake? Thank you so much for your time and for your tasty cake! Hi Ruth! Am behind with my fruit which I’m going to do this week. How long should i give it before baking? I want to soak for as long as possible, but don’t want to rush anything! 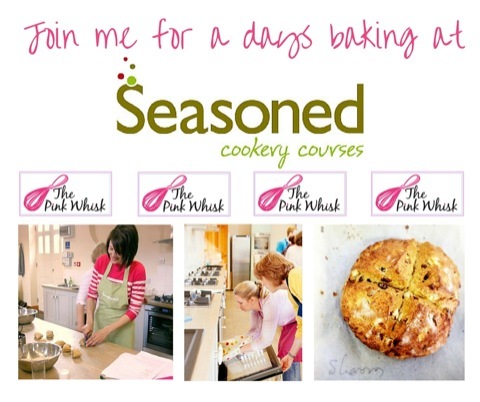 Hi Pink Whisk, your page is brilliant. I wondered if you could advise on 4 inch square tins – how long would they normally need to cook for and what temperature. Would you suggest filling the tins to close to the top or 3/4 or 2/3 of the way up? Many thanks, been soaking fruit in rum and brandy and ready to cook. 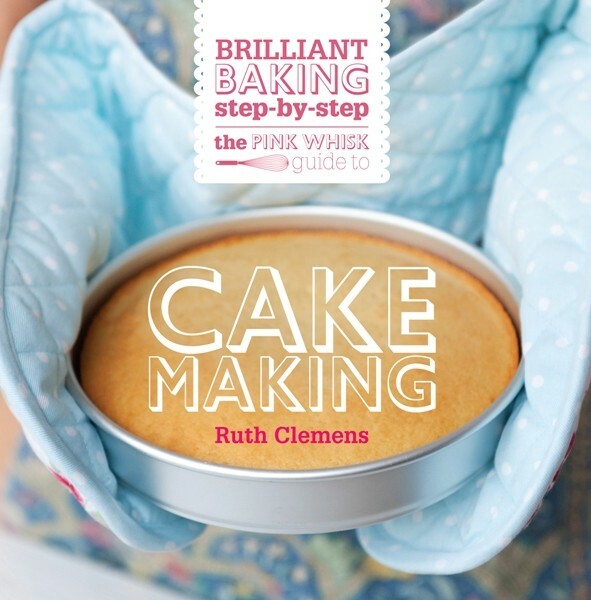 Hi Pink Whisk, This cake is absolutely fantastic and I will definitely make again! I have told all of my family and friends and told them not to change anything in the recipe. Thank you again. Just wanted to drop in and say THANK YOU! Made my first ever proper Christmas cakes today, all thanks to your site. I was able to bake 1 x 4″ and 1 x 8″ all perfectly, at the same time too. Much gratitude from me! Hi pink whisk, I am going to make a Christmas type cake in a 13 x 9 x 2 inch tin, can you advise on how long to cook it for and at what temperature please. Thanks.